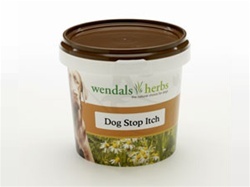 An aid in soothing skin irritations and itches caused from the diet of from insect nuisance. The unique blend of herbs help promote blood supply and reduce annoyance from insects. Contains Cleavers,Dandelion, Fenugreek Seed, Garlic, Golden Rod, Nettles, Sage and Seaweed.